Vincenzo Santapaola had as sons Benedetto “Nitto”Santapaola (married to Carmela Minniti who was killed and their sons were Vincenzo Santapaola and Francesco Santapaola), Antonino “Nino”Santapaola and Salvatore “Turi” Santapaola (married to a sister of “Cavaduzzu”Ferrera). Benedetto’s nephew Vincenzo Romeo. Santapaola nephew Natale Ivan Filloramo (33 when he was arrested 20 november 2007 and he is the son of a sister of Benedetto santapaola and his father is Francesco Filloramo. Grazia Santapaola (niece of capomafia Benedetto santapaola) arrested with her husband??? Salvatore Amato. Benedetto’s nephew Salvatore “Turi” Amato was 55 when 16 march 2010 arrested and his girlfriend??? is Emilia Maio and their daughter is Rossella Amato. Santapaola’s nephew Natale D ‘Emanuele (70) and his sons Antonino and Andrea Sebastiano D’Emanuele. Benedetto Santapaola’s nephews the brothers Francesco Santapaola and the killed Angelo Santapaola (his brother in laws are the brothers Giuseppe and Silvio Corra). Benedetto “Nitto” Santapaola (for life imprisoned) reputed acting boss was the in 2005 arrested fugitive Umberto Di Fazio (Catania province capomandamento). capomafia Giuseppe Ercolano (69 who was married with a sister of Benedetto Santapaola and their son is Aldo Ercolano who has as wife the daughter of Santapaola capo Francesco Mangion) and his brothers Salvatore (41) and Sebastiano Ercolano an other brother Angelo Ercolano? Francesco Mangion and his son Giuseppe Mangion and his daughter who is married to Aldo Ercolano. The violent wing of Cappello’s group is the Carateddu clan of the brothers Ignazio and Concetto Bonaccorsi (who are both imprisoned for life for murder) and their sister Caterina Bonaccorsi and her son Sebastiano Lo Giudice. 23 Januari 1997 in Catania Massimiliano Bonaccorsi (24) was killed by Mazzei man Salvatore Di mauro and his brother Alessandro Bonaccorsi was wounded. Imprisoned Ignazio Bonaccorsi was angry at fellow inmate Rosario Pitera because he had not brought his proper respects after the murder of Massimiliano Bonaccorsi, so 25 january 1997 he had Rosario Pitera’s brother Giuseppe Pitera (49) killed in Catania. In 1998 Partinico capomafia Vito Vitale became allies with the catania bosses Gesualdo La Rocca from Caltagirone and Santo Mazzei. Mazzei was already for a long time imprisoned and tried this way to lead the rise of his “Carcagnusi” clan who should dispose of the Ercolano Santapaola group. Vito Vitale also inniated Giuseppe Intelisano (against the wishes of the imprisoned bosses Aldo Ercolano and Benedetto Santapaola) as a made man (mafiosi) of Cosa Nostra, at the same time were also made the Catania men Francesco Riela and Massimiliano Vinciguerra, the last is the head of the "Carcagnusi". Then Giuseppe Intelisano, Santo Mazzei, Massimiliano Vinciguerra, Francesco Riela and Aldo La Rocca and other members of the Carcagnusi togather with Partinico capomafia Vito Vitale start opposing the Provenzano allies. They killed the important entrepeneurs Domenico Zucchero and Sergio Signorino who had been close with the old families. They also killed in Catania at the orders of Vito Vitale then Caltanissetta representative Lorenzo Vaccaro an ally of provenzano. “Carcagnusu” boss Sebastiano Mazzei is imprisoned and acting boss was Massimiliano Vinciguerra, Vinciguerra’s wife is Jessica Scott who acts as a go between for Santo Mazzei and Vito Vitale from Partinico. Giovanni Minacapilli (48) from Aidone (En) was killed 24 january 1998. By accident was attacker Orazio Di Franco (28) from Enna wounded and after the others phoned their boss, they killed in the evening Di Franco whose body was found months later. Giovanni Minacapilli and Orazio Di Franco were both men of Enna’s old capomafia Giovanni Mattiolo “U vecchiu” who is a Provenzano supporter. For the two murders were arrested Sebastiano Varelli (69); Salvatore Dimaria (52); Vincenzo Giunta (69); Salvatore Chisari (26); Antonino Fallica (27) and Vito Antonio Zingale (36), Mario Alessandro Savoca, Salvatore Leonardi and Antonino Mavica. The murder of Minacapilli had been ordered by Vincenzo Giunta and Sebastiano Varelli. Leonardi and Savoca had tried to get medical care for the wounded killer Orazio Di Franco till the order came to kill him also. 28 Januari 1998 police arrest 14 mafia members from Partinico, Alcamo and Castellammare who are suspected of working for the boss Vito Vitale, they would be the killers of the recently in San Giuseppe Iato murdered uncle and nephew of pentito Balduccio di Maggio after his arrest. 13 March 1998 was Santapaola man Domenico Zucchero wounded and died 2 days later at the orders of Sebastiano Mazzei. Domenico Zucchero’s nephew Carmelo Zuccaro?? Maurizio Zuccaro the brother in law of Santapaola?? 21 March 1998 in San Giuseppe Iato Emanuele Di Maggio (52) get killed, he is one of the three brothers of pentito Balduccio Di Maggio and behind it is Vito Vitale. In march 1998 was Giuseppe Intelisano arrested. Pentito Salvatore Chianetta the former chauffeur for the boss Giuseppe Intelisano talks about the connections between the mafia, entrepeneurs, politicians and freemasons in Catania. After Giuseppe Intelisano was arrested in march 1998 Vito Vitale held a meeting in Palermo for the Catania rebels of Vinciguerra, Riela and La Rocca with them also came Angelo Mascali. Mascali got the order to organize the murder of Nuccio Cannizzaro. They wanted to take Catania over from the Ercolano Santapaola clan by eliminating all their opponents under whom would also be Benedetto Santapaola’s son Vincenzo. But Angelo Mascali went to his friends Antonio Motta, Maurizio Zuccaro and Sebastiano Cannizzaro and told them about the rebels. The Catania cosca reacts on the from Palermo led mutiny with the murders of Giovanni Riela (a mistake because they wanted to kill his brother Francesco Riela) and Massimiliano Vinciguerra. 6 April 1998 seven members of the cosches of Vitale (Partinico), Brusca and DiMaggio get arrested. While Vito Vitale was on the run the cosca was run by his sister Giusy and their brother Leonardo Vitale. 13 April 1998 Vito Vitale (39) the boss of Partinico get arrested and he is second only to Provenzano. While Vito is in prison his cosca was run by his son Giovanni Vito Vitale jr (15). After Vito Vitale was arrested there was in Enna a peacemeeting in which particpated Domenico Vaccaro. 7 April 1998 was Angelo Castorina killed, he belonged to the Sciuto cosca and was killed by 3 killers of his own cosca, also wounded were Sciuto member Orazio Signorelli and the child Domenico Querulo (5). The shooters had been Luciano Daniele Trovato (28) and Giuseppe Cangemi who were driven by Lorenzo Patane. They had been ordered by Sciuto man Carmelo ragusa. 14 April 1998 was Giovanni Riela wounded, he is the son of Lorenzo Riela who works for the son in law of Pulvirenti. In april 1998 was Massimiliano Vinciguerra killed by Vincenzo Santapaola (Benedetto’s oldest son), and his cosca members Antonio Motta, Maurizio Zuccaro, Nicolo Maugeri and Guido Agosta after which they hid his body, his body was found 20 november. 5 august 1998 were the killers Vincenzo Santapaola (Benedetto’s oldest son), and his cosca members Antonio Motta, Maurizio Zuccaro, Nicolo Maugeri and Guido Agosta arrested. 25 July 1999 was Claudio La causa (33) arrested, he was the brother of the in january arrested boss Santo La causa who supports Santapaola. 30 July 1999 the capo Giansante Maugeri was arrested and he is close with Santapaola. 1 June 1999 was Umberto Di Fazio imprisoned but was already set free 16 june 1999. Santapaola capomafia Umberto Di Fazio was seen as between 1999 and the end of 2000 as the highest boss in Catania. 22 March 2001 was in Catania then Grazia Santapaola (niece of capomafia Benedetto santapaola) arrested with her husband Salvatore Amato. Giuseppe Ercolano had already been arrested in december 1992 and had come free 22 january 2004, he had been imprisoned in Lanciano (Chieti) prison after a sentence of 12 years for mafia association. Catania alliance Garozzo Bonaccorsi Cappello. In an attached postcard to a letter, send in the first months of 2004 from Giuseppe Garozzo to Salvatore Cappello (both prisoners at the time) appeared a Formula 1 Ferrari with a driver who had the face of Capello and two men next to his side, one of which had the face of Bonaccorsi. Cappello had tightened his alliance with the groups of Giuseppe Garozzo, leader of the "Cursoti" and Ignazio Bonaccorsi, founder of the "Carateddu" group. Santapaola, Laudani, Sciuto fraction "Coscia" and parts of the groups Pulvirenti, Pillera and Cursoti. Internally had come some troubles between Ercolano and “Nino” Santapoala. Alfio Mirabile was seen as the head of the San Cristoforo quarter in Catania for the santapaola family and was a close friend of “Nino” Santapaola the brother of Benedetto. 24 april 2004 was Monte Po capomafia Alfio Mirabile shot and so severely wounded he became paralyzed and ended in a wheelchair. Revenge from “Nino” Santapoala came swift. After the attack was in San Giovanni Galermo quarter Salvatore Di Pasquale killed. 29 April 2004 was in Catania Salvatore Di Pasquale shot and killed, he was a small drugdealer. 1 May 2004 was the body of the killed Gaetano La Rosa (36) found in his burned Mercedes in the borough San Cristoforo. Gaetano La rosa was the brother of pentito Giuseppe La Rosa 'Pippu 'u nobili' and gaetano La Rosa was also the brother in law of capomafia Alessandro Strano. Then was Michele Costanzo killed and Antonino Sangiorgi wounded. 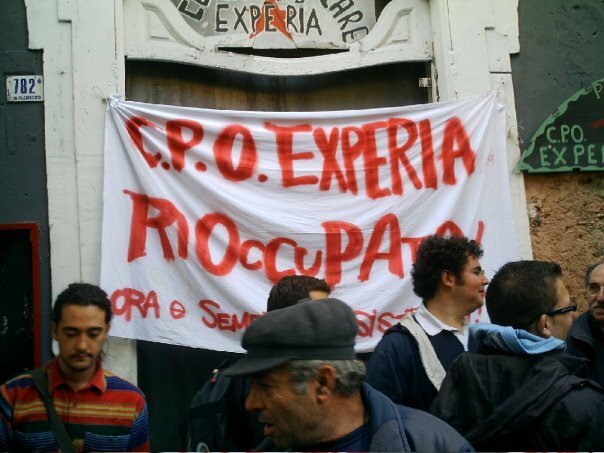 21 july 2004 were in Catania 12 persons arrested who support the Santapaola cosca in Monte Po, of which capomafia Alfio Mirabile had been severely wounded 24 april. 21 July 2004 were arrested of the Santapaola clan: Salvatore Francesco Guglielmino (32), Dario Caruana (26), Marco Strano (22), Gaetano Vitale (33), Paolo Mirabile (28), Antonino Tomaselli (27), Francesco Mirabile (48), Luigi Ferrini (30), Pietro Privitera (26), Antonio Comis (26), Mario Costa Cardone (25). Under the arrested were the brother and nephew of Alfio Mirabile, Francesco and Paolo mirabile, and Marco Strano, capomafia at the post of his imprisoned brother Alessandro. 31 January 2005 was Giuseppe Ercolano (69) arrested, he was the capomafia of Catania province since the lifesentence of his brother in law Benedetto Santapaola. 17 June 2005 was in Catania then Raimondo Maugeri arrested, he was seen as the capomafia of the cosca in Villaggio Sant’Agata di Catania, and was an ally of Santapaola. Police also arrested three members of a group who are allies of Santapaola, and are in the area Monte Po, who wanted to kill Maugeri after an internal conflict about drugtrafficking. Now he would have been back on the topspot with the backing of the Ercolano clan. 22 October 2005 was Santapaola clan capomafia Umberto Di Fazio (43) arrested in Agira (Enna) with his nephew Giuseppe Di Fazio (44 from Leonforte), Giuseppe Giannitto (43 from Agira) and Michele Stivala (26 from Agira). In the triangle Valguarnera, Agira (Enna), Leonforte the boss Umberto Di Fazio had relatives: nine uncles and about 60 cousins. In december 2005 Catania capomafia Benedetto Santapaola's acting boss Umberto Di Fazio becomes a pentito. Two men were shot to death on June 11th 2006 with a typical mafia ambush in Paternò village, Catania province. Giuseppe Salvia, 29, and Roberto Faro, 19, both linked to the local mafia "families" crews and involved in extortions and robberies, were murdered by a command of killers at about 23:30 inside their car Fiat Uno. The ambush left seriously wounded also Alessio Salvia, the 7 years old son of Giuseppe, who was in the car at that moment; the father probably brought him in order to avoid the ambush. According to the doctors of Catania hospital the child is very grave. The fact could be an internal war inside one of the crews present in the area linked to Santapaola or Cappello "families". 30 september 2007 were Benedetto’s nephew Angelo Santapaola (45) and his bodyguard Nicola Sedici (31) (also a nephew of Santapaola because he married a niece of antapaola) killed. Benedetto’s nephew Angelo Santapaola ‘s brother Francesco Santapaola (46) was 9 october 2007 arrested. Carateddi acting boss Sebastiano Lo Giudice “Ianu u Carateddu” went to war in the second half of 2008 with the Sciuto “tigna”cosca. 15 (or 26) August 2008 was Sciuto member Sebastiano Fichera (37) killed (his nephew is Giuseppe Bosco). Sciuto “Tigna”capomafia Biagio Sciuto (62) was 28 november 2008 arrested. 9 april 2009 were Massimiliano Cappello (brother of the boss Cappello) and Nicola Lo Faro (killed 4 may 2009) arrested as suspects of the murder of Giuseppe Vinciguerra 7 april 2009. Carateddi acting boss Sebastiano Lo Giudice “Ianu u Carateddu” went to war in 2009 with the Santapaola- ercolano clan and the Milan cursoti. Sant Agata capomafia Raimondo Maugeri (47) was killed 30 june 2009 by Michele Schillaci, Paolo Mirabile and Salvatore Papale who were arrested. 26 december 2009 was Sciuto “Tigna”man Antonino Nicotra (48) arrested. 24 january 2010 was Orazio Privitera “Pilu Russu” (48) arrested he was a cappello capo and then went over to the Sciuto “Tigna”clan and he was now the boss of the Carateddu. 6 March 2010 was Carateddi member Salvatore Tucci (30) killed because he was suspected by the Carateddi leaders of stealing money from the group. Carateddi acting boss Sebastiano Lo Giudice “Ianu u Carateddu”(33) was arrested 8 march 2010. 16 march 2010 were arrested the Carateddi members Alessandro Bonaccorsi (32), Salvatore Bonvegna (30), Paolo Ferrara (36), Giovanni Musumeci (38), Natale Cavallaro (28) and Marco Rapisarda (33). 29 april 2010 Carateddi acting capomafia gaetano Musumeci (27) arrested. 2 may 2010 was wounded Salvatore Pitara (59) the brother of Cursoti capo Pitara. Quante volte ci è capitato di dirci, o di sentire dire: “non ci sono con la testa”; “ho la testa da un’altra parte”, “sono uscito di partita” oppure “non sono riuscito ad entrare in gara” oppure“in questo periodo ho altro per la testa”. Se ritorniamo un attimo su questi modi di dire che sentiamo o ci diciamo così spesso, ci accorgiamo facilmente che sono tutti indicativi di come, nella situazione in cui ci si trovava, l’attenzione mentale fosse focalizzata su qualcosa di diverso rispetto a quello che si stava facendo o che si voleva fare. Ad esempio, dicendo che “non ci sono con la testa”, voglio dire che invece che essere “lì” con quello che sto facendo, sto pensando ad altro; i pensieri di questo “altro”possono essere riferiti a qualcosa che è successo o che succederà (al lavoro, in famiglia, o nello stesso sport che sto praticando, come un errore commesso o un impegno che mi aspetta di lì a poco). Questo “accavallarsi” di attenzione tra ciò che sto facendo e ciò che ho fatto o che farò, finisce per “scuotere” e “sballottare” la mente, così non permettendole di rimanere calma e attenta sull’impegno che si sta affrontando in quel preciso momento. Personalmente, mi capita la stessa cosa quando scrivo; per scrivere questo pezzo, sto cercando di fare in modo che la mia mente rimanga calma e serena, perché so che in tali condizioni può succedere che quello che “esce” attraverso la scrittura sia adeguato a quello che vorrei dire e che si trova “dentro” di me. In questo, i fattori di distrazione possono essere molteplici (gli errori che commetto scrivendo e che mi costringono a tornare indietro, un pensiero che mi arriva riferito alle udienza che farò domani in tribunale, il “feeling” che tarda ad arrivare e che mi fa pensare che verrà fuori un pezzo mediocre, il telefono che suona ecc. ); invece che combattere contro questi fattori di distrazione, ho imparato che se dico alla mia mente di rimanere “qui”, con calma, i fattori di distrazione se ne vanno da soli e a mano a mano “entro” nel pezzo che voglio scrivere. Certo, non tutti gli articoli che scrivo sono … baciati dall’arte, anzi, ma questo ha poco importanza, perché il mio impegno è comunque quello di dare il mio meglio, compatibilmente con i miei pochi talenti e molti limiti. Per tornare ad argomenti più interessanti, da un punto di vista sportivo, la difficoltà a tenere la mente calma deriva dal fatto che non è tecnicamente possibile “non pensare”. La mente, per quanto affascinante e meravigliosa, è anche simile ad un bel purosangue che va opportunamente addestrato e formato per rendere al meglio e, soprattutto, per essere al servizio del suo cavaliere, invece che scorazzare ovunque “tiri il vento”, refrattario ad ogni “regola” e “disciplina” che il cavaliere tenti di insegnargli. Nei Corsi di Dinamiche della Mente e del Comportamento che tengo come istruttore, si impara a come fare per tenere la mente calma e posata e a portare tale calma e posatezza nella vita di tutti i giorni, sport compreso. Il principio utilizzato è molto semplice: poiché non è possibile “non pensare” e poiché se si pensa a più cose contemporaneamente la conseguenza è che la mente diventa nervosa e irrequieta, si fa in modo che la mente “pensi” a qualcosa che porti come conseguenza una sensazione di calma e di posatezza e che ci “rimanga” o ci “ritorni”, su tale sensazione, tutte le volte che il “cavaliere” lo desidera. In tal modo si allenta, piano piano, un altro particolare “nemico” che va sconfitto se si vuole giocare bene, con buoni risultati e soddisfazione personale: la preoccupazione, “figlia” della irrequietezza nella quale ci si viene a trovare quando l’attenzione mentale è su più situazioni contemporaneamente. Preoccuparsi altro non né che “occuparsi prima” di quello che potrebbe succedere e quindi è uno spostarsi in avanti (o indietro) rispetto a quello che si sta facendo; ricorderò sempre la lezione che ho ricevuto, sul punto, dall’allora mio Istruttore del Corso di Dinamica Mentale Base che frequentai nel 1976, Marcello Bonazzola, quando gli sentii dire: “se quando hai un problema puoi fare qualcosa, invece di stare lì preoccupato e non fare niente, fallo; se invece non puoi farci niente, perché preoccuparsi?”. - toccando qualcosa che fa parte di quello che stiamo facendo (l’impugnatura del ferro, una pallina, un ciuffo d’erba – ad esempio, quando giocavo a pallacanestro ed ero seduto in panchina, a volte tenevo in mano un pallone). Soprattutto, per mantenere la mente calma e posata è importante imparare a non giudicare e criticare, né quello che stiamo facendo né quello che stanno facendo gli altri; per la calma mentale, la critica continua e ossessiva, costantemente negativa, finisce per essere come quello che sta pedalando sulla bicicletta al massimo dello sforzo, che sta profondendo tutto il suo impegno e la sua dedizione, ma che nello stesso tempo tiene i freni della bicicletta ben tirati: fatica tanta, risultati pochi e soddisfazione inesistente (tranne, naturalmente, … per i masochisti). Che strano, rendersi conto di quanta miseria c'è nella nostra esistenza. Su quanti compromessi e continue perdite contro cui non possiamo fare nulla è costruita la nostra piccola esistenza. Curiamo il nostro ego, piccolo e insignificante, inutile, fino alla nausea, come se un agricoltore si fermasse per ore ad accarezzare un erbaccia che a nulla servirà per il raccolto. E poi ad un tratto paghiamo il conto interamente, e il più delle volte piangendo con codardia. Mentre tutto cambia tutto si perde, per sviluppare cose nuove che il più delle volte non vogliamo e sempre più spesso siamo solamente costretti ad accettare, anche se torneremmo volentieri al vecchio. Però è la nostra natura e non possiamo farci nulla, siamo costretti a convivere con tutta questa debolezza, anzi siamo chiamati ad utilizzare tutta la nostra umanità, questa apparente debolezza, perchè soltanto da questa scaturisce l'unica forza di cui siamo capaci. Una forza che nasce comunque dalla sottomissione a questo stato di cose, dall'accettazione, come fecero madre Teresa di Calcutta e Ghandi, solo nell' arrendersi, nell'accettazione, l'essere umano è capace di grandi livelli di sopportazione, ed è in questo punto focale, che nasce il centro della dottrina cristiana. Raccontando la città di Catania, purtroppo può capitare di raccontare anche questo. Abbiamo trovato opportuno scegliere come colonna sonora di questo evento il brano dei 99 posse che negli anni '90 ebbe un discreto successo tra i giovani. La storia che vi raccontano queste foto è l'ennesima truffa che le autorità, se così possiamo chiamarle, hanno intentato ai danni della gente comune, dei giovani, di una città già martoriata di suo. C'è chi, dal presidente della provincia fino al sindaco, sta nel suo comodo ufficio spendendo inutilmente i soldi di tanti contribuenti delusi, mentre c'è chi sta in strada a difendere ciò che è nostro di diritto. In una città mafiosa e corrotta fino all'inverosimile, le autorità si preoccupano di "liberare" un centro sociale, divenuto negli anni luogo di divertimento a basso costo per tanti ragazzi, luogo di aggregazione, fonte di tolleranza e creatvità. Forse rubava clienti ai pub che ti fanno pagare una birra 10 euro, chissà, forse è solo una cosa che si doveva fare, chissà, forse è l'ennesima beffa, mancanza di rispetto, che da sempre l'amministrazione di questa città riserva ai suoi forse un pò troppo stanchi cittadini. Ma voi ve lo siete chiesti? Perchè accade tutto questo senza che nessuno muova un dito? A parte naturalmente le decine e decine di cittadini indignati che erano presenti quel giorno. Pessima nota per le forze dell'ordine a Catania, dove la grande quantità di polizia ed esercito che vigila nelle strade, a passeggio per le vie del centro, non serve a molto quando giri l'angolo e ti ritrovi nei pressi del castello Ursino, o in via Plebiscito, o se ti spingi un pò più in la verso il "tunniceddu" simpaticamente chiamato così dai Catanesi, e ti ritrovi ad avere a che fare con orde di ragazzi che ti chiedono, spesso con insistenza, se ti serve cocaina o altri tipi di droga. circa la prostituzione tra le studentesse universitarie. Ebbene si, la storia Europea, con i personaggi più importanti che ne fanno parte, dalla seconda guerra mondiale fino ad oggi, è più intricata di quanto forse non si legga nei libri di scuola. Così, candidamente, abituati a tutto, non ci scandalizzerà di certo una foto di Ratzinger, l'attuale capo della chiesa cattolica (foto in alto), con la divisa nazista della gioventù hitleriana. E' così che inizia uno dei tanti articoli fantasiosi che circolano sulla, rete, ma la verità potte leggerla sotto e documentarvi se non ci credete. 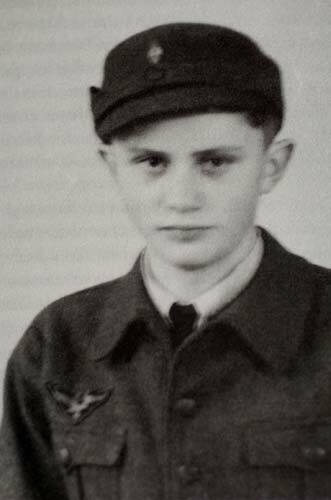 Il tentativo ha voluto ritentare il successo avuto da un’altra foto, quella di un giovane Ratzinger mentre celebra una messa che, tagliata a dovere, è stata fatta passare per un saluto nazista. Abbiamo smontato anche questa, come quelle che compaiono sul nostro sito web nell’archivio di notizie sullecosiddette “bufale anticlericali”, ovvero le menzogne che la cultura laicista produce sistematicamente per tentare di screditare il cattolicesimo, non avendo alcun argomento razionale da proporre. Su gentile richiesta di parti interessate, nonchè per mio personale divertimento, pubblico una guida di sopravvivenza destinata ai soggetti che hanno subito una decisione di abbandono da parte del proprio partner; questo fatto consente agli stessi di entrare a pieno titolo nella categoria di individui affetti da ciò che comunemente viene definita: delusione d’amore. L’organizzazione delle funzioni psico-mentali dell’uomo si basa su tre attività che, pur soggette a interferenze reciproche, possono essere ben individuate per caratteristiche, per tempi di presentazione, per modalità di sviluppo e di attivazione. Le funzioni fondamentali del sistema psico-neuro-biologico che fa riferimento al cervello sono: l’emotività; l’affettività; l’attività intellettivo-cognitiva. Nello sviluppo filogenetico è l’emotività che è presente in tutti i livelli del regno animale e rappresenta un modello reattivo, istintivo, difensivo ed adattivo, attraverso il quale l’individuo risponde agli stimoli del mondo esterno. Questo fa pensare ad un sistema adattivo-difensivo molto primitivo e, quindi, comuni a tutte le specie. È anche ben nota la struttura alla quale fanno capo quei circuiti (cellule nervose = neuroni; sinapsi; assoni e dendriti) che compongono il sistema limbico o cervello limbico o cervello del serpente. La funzione che riunisce e rende simili tutti gli individui del regno animale è la capacità di reagire agli stimoli che giungono dal mondo esterno in un modo rapido (basso tempo di latenza), istintivo (cioè non mediato da altre funzioni e, quindi, strutture), automatico (senza la necessità di una speciale elaborazione). Questi meccanismo portano a reazioni molto semplici che, negli animali (vedi serpenti) si limita all’attacco o alla fuga. Per questo le risposte emotive vengono chiamate adattive, ma anche difensive in quanto si organizzano come sistema efficace per la difesa dell’individuo attraverso risposte che, seppure a volte non siano perfettamente adeguate, per altro sono immediate (quasi del tipo tutto o nulla) e quindi permettono una difesa efficiente ed efficace. Il sistema emotivo è particolarmente efficace ed attivo nell’uomo ed è già presente nel neonato nel quale una quantità notevole di risposte automatiche acquistano valore difensivo ed adattivo. § Allerta: è una risposta di preparazione per la quale il soggetto sposta rapidamente l’attenzione sulla qualità dello stimolo, sulla sua origine e sulla intensità. In un secondo temo, se si attivano funzioni superiori che giustificano e/o tolgono significato all’input, l’allerta si sfuma e si esaurisce, tornando lo stato psichico in quiete. § Tensione: è una risposta più intensa dell’allerta perché con questa il soggetto si prepara ad analizzare le componenti dello stimolo in entrata distinguendone qualità, pericolosità, intensità. La tensione porta il soggetto a predisporre varie risposte possibili facendo fluire l’attenzione non solo sullo stimolo, ma anche sul “soggetto attore”. § Ansia: è una risposta intensa, più o meno giustificata, ma sempre legata ad uno stimolo e/o ad una situazione determinati. L’ansia può diventare anormale o decisamente patologica quando duri a lungo nel tempo, non viene cioè controllata dai sistemi specifici e, soprattutto, diventa invasiva, andando ad occupare gli spazi dell’affettività e dell’attività cognitiva, simbolica, razionale. § Ansia libera: è uno stato patologico nel quale l’ansia fluisce in continuazione, senza freni e, soprattutto, senza giustificazioni logiche; è cioè svincolata dall’esperienza sensibile e determinata da vissuti profondi e personali. § Angoscia: è un’ansia, ma di grado molto elevato per cui i sistemi di controllo non riescono a contrastarla. Si parla di angoscia conscia e di a. inconscia, ma, per lo più, si tratta di questo secondo tipo, dato che viene attivata da stimoli anche insignificanti se considerati dal di fuori. L’angoscia è una esperienza molto disturbante anche perché il soggetto no riesce a trovare il modo di contenerla e, quindi, vive un sentimento come di essere in balia di qualcosa di troppo poderoso e distruttivo. § Paura: è una reazione non automatica, non così diretta come l’ansia e l’angoscia, quindi, più elaborata , più determinata e legata all’esperienza sensibile o a situazioni ben definite. § Terrore: è una paura molto accentuata e viene riconosciuto come risposta a qualcosa che non può essere controllato, che genera situazioni dalle quali non si può sfuggire e, quindi, entra in gioco un sentimento di impotenza e di aver perso ogni possibilità di autodifesa. Il soggetto non trova vie di scampo possibili e, quindi, vive violente sensazioni di essere in balia dell’Altro o di qualcosa che genera uno stato di morte imminente e, dunque, di invincibile e di catastrofico. L'Astrologia fonda i suoi principi su basi scientifiche ed astronomiche e si può definire uno strumento di conoscenza per aiutare l'uomo a conoscere meglio le sue qualità, partendo dal presupposto che i pianeti del nostro sistema solare, con i loro ritmi orbitali esercitino delle influenze. L'astrologia occidentale è nata in Mesopotamia nel 3000 a.c. circa ed è stata tramandata fino ai nostri tempi attraverso i Greci e i Romani. Il più importante "documento" antico, giunto fino ai nostri giorni, è l'Enuma Anu Emil, composto di 70 tavolette scritte intorno al 900 a.c., in cui venivano esplicitati dei riscontri di correlazioni tra fenomeni celesti ed eventi relativi alla vita degli uomini. L'iconografia zodiacale risale invece al tardo Egitto: avendo riconosciuto che un gruppo di stelle influiva su certe disposizioni vitali, a queste si è associato un geroglifico, scegliendo il tipo animale, o in generale, il gesto che incarnava o simbolizzava questa attività. Ad esempio l'Acquario corrispondeva alla costellazione in cui si trovava la Luna piena quando iniziò la piena del Nilo. I segni sono andati così a rappresentare degli animali (Ariete, toro, Granchio per il cancro, Leone, Scorpione, Pesci), dei personaggi fantastici o umani (Gemelli, Vergine, Sagittario, capricorno) o degli oggetti (Bilancia, Acquario). Dall'antichità fino al XVIII secolo, l'astrologia è stata effettivamente considerata come una scienza e non si differenziava in modo sostanziale dall'astronomia. Molti saggi erano infatti anche grandi conoscitori dell'astrologia, come Pitagora, Talete o Newton. Il sistema dell'astrologia occidentale classica è basato, come quello dei suoi illustri antenati, sull'osservazione degli astri e l'applicazione di statistiche; viene organizzato intorno al Sole e attribuisce specifici caratteri e qualità ai pianeti. Si sviluppa secondo lo zodiaco tropicale: i segni dello zodiaco sono una divisione arbitraria della cintura zodiacale delle costellazioni, attraverso le quali passano i pianeti. Sono immagini del tempo, e/o archi d'eclittica, contati dal punto d'Ariete e aventi tutti un'ampiezza pari a 30° di longitudine. Sono quindi una rappresentazione del tempo solare, delle stagioni e dei cicli vitali della natura. Oggi segni e costellazioni non hanno più una loro coincidenza, a causa della precessione degli equinozi. In una società che è caduta nella trappola dell’ apparire scordando l’essere, cosa doveva succedere secondo voi? Il mondo occidentale si è spaventosamente allontanato dai valori che lo hanno reso forte nella storia, cominciando dalla fede (e intendo la fede per qualsiasi cosa, non solo quella cristiana) fino ad arrivare a concetti come rispetto (intendo quello reciproco e non quello basato sulla rinuncia per l’accettazione), onore, senso di giustizia, coraggio. c) meccanismi difensivi molto primitivi e patologici: come scissione, negazione, identificazione proiettiva». h) difficoltà a tollerare la solitudine (derivato da Gunderson). Tra gli autori italiani che si sono occupati di questo disturbo mi sembra rilevante il contributo di Callieri. b) la sua fenomenica è la «fenomenologia esistenziale dell’unico». c) il suo «discorso» è un discorso precognitivo, in cui visione e desiderio si impostano e si combinano in modo disarmonico. Quest’ultimo punto viene successivamente ampliato dalle seguenti notazioni. Nel borderline c’è un arresto psicolinguistico che porta ad una «preclusione di visioni alternative» e comporta due aspetti. Una opacità e approssimazione del linguaggio e la caratteristica che il discorso del borderline si svolge sul «ben altro», ovverosia la tendenza a spostare continuamente il centro del problema. Questa modalità espressiva è secondo me un punto importante e qualificante. Perché se da una parte rivela una caratteristica psicodinamica fondamentale del borderline: (la tendenza a sfuggire l’intimità del rapporto), dall’altra apre alproblema della possibile presenza di un disturbo del pensiero, aspetto non evidenziato dalla maggior parte degli autori. Ad eccezione di Searles che invece lo sottolinea e descrive, il pensiero del borderline non è frammentato, ma è rigido nel contenuto tangenziale nella forma; mentre ha difficoltà a collegare eventi significativi, è spesso concentrato su un singolo problema di tipo emotivo, che non “inceppa” il pensiero, ma lo rende spesso poco fluido e ripetitivo, a volte invischiante. Questo disturbo del pensiero è collegabile strettamente a due dinamiche fondamentali del borderline: la scissione come meccanismo difensivo basilare e la presenza di intense emozioni che, non riuscendo ad integrarsi nella struttura complessiva del soggetto, rimangono elementi vaganti e poco controllabili.Credo che a questo punto possediamo un quadro descrittivo del borderline abbastanza preciso e delineato.Si tratta di soggetti con problemi di identità, con difficoltà ad instaurare rapporti intimi, con paure abbandoniche, con tendenza agli acting-out, con oscillazioni dell’umore, crisi di rabbia violente ed immotivate, ed infine con spiccata suscettibilità e diffidenza. Caratteristica, quest’ultima, strettamente collegata con un altro tratto caratteriale, mai descritto a quanto mi risulta, e che invece a me sembra fondamentale.Il borderline presenta, anche se in maniera non sempre palese, il vissuto di una grave ingiustizia subita, che, unito ad un senso esasperato ed idealizzato della giustizia, lo porta a vivere i comportamenti degli altri come ingiusti, lesivi, a volte francamente persecutori. È necessario sottolineare che tutti questi tratti “patologici”si evidenziano in situazioni di emergenza emotiva o in situazioni ove siano in gioco dinamiche affettive. Altrimenti il borderline superficialmente può apparire come una persona sufficientemente normale.Per meglio esplicitare come e quanto questo vissuto possa essere determinante mi riferirò non a casi clinici, ma a due esempi tratti dalla letteratura. Il primo è un lungo racconto di von Kleist ambientato nel sedicesimo secolo, dal titolo Michel Kohlaas3. Questo allevatore di cavalli della Sassonia è così descritto dall’autore «Quest’uomo non comune sarebbe potuto passare fino ai trent’anni per il modello del buon cittadino»: Allevatore di cavalli, sposato con figli, vive un’esistenza tranquilla e serena. Un giorno, come gli era accaduto di fare in passato, egli conduce i suoi cavalli a Dresda per la fiera e, mentre attraversa le terre del barone Venceslao di Tronka, viene fermato. Gli uomini del barone gli dicono che le leggi sono cambiate: se vuole proseguire ha bisogno di un lasciapassare e deve inoltre pagare un pedaggio. Kolhaas fa presente che è in buona fede e che nulla sa di queste nuove regole: chiede pertanto che per questa volta gli sia lasciata libertà di passaggio. Il barone non è d’accordo e con ostentazione pretende che vengano lasciati inostaggio due splenditi cavalli: Kolhaas acconsente e li affida ad un suo garzone per accudirli. Qualche settimana dopo, di ritorno a casa, apprenderà che il garzone è stato malmenato e cacciato via, ma soprattutto che i due splendidi cavalli sono stati usati dagli uomini del barone per trasportare la biada nei campi. L’ira di Kolhaas aumenta ulteriormente quando saprà dal Tribunale di Dresda, a cui ha inviato una petizione, che non esiste alcuna disposizione in merito ad un lasciapassare. Egli pertanto si rende conto che si tratta di un arbitrio del barone. Da questo momento Kolhaas pretenderà giustizia. Chiede che la situazione sia ripristinata, che l’offesa venga cancellata. Ed in che modo? Il barone, a proprie spese dovrà far di nuovo ingrassare i suoi due cavalli per restituirglieli quindi nelle condizioni iniziali. Questa richiesta è molto indicativa: Kolhaas non vuole risarcimenti, pretende che l’offesa sia riparata e l’ingiustizia cancellata. Il che fa ritenere che l’offesa è vissuta come gravemente lesiva, tanto da mettere a rischio la sua stessa identità.Trascorso però un anno, quando si renderà conto che non potrà ottenere giustizia perché il barone non solo non ha provveduto a quanto richiesto, ma ha perseverato nel comportamento, Kolhaas venderà tutti i suoi averi, armerà una ventina di persone ed assalterà il castello, distruggendolo. Il barone riesce però a fuggire e pertanto Kolhaas non potrà sentirsi soddisfatto ed è costretto a proseguire nella sua vendetta inseguendolo per tutta la Germania che sarà messa a ferro e fuoco. Cosa vuole Kolhaas? E qui si mostra l’intuito geniale dell’artista: Kolhaas pretende che il barone riconosca i suoi torti e che soprattutto faccia di muovo ingrassare i due cavalli. Non pretende altro, e non accetta nemmeno atti di giustizia sostitutivi per riparare il torto subito: l’ingiustizia deve essere cancellata, solo così l’offesa subita cesserà di essere vissuta come distruttiva. In questo Kolhaas sembra attuare la teoria hegeliana della giustizia: la giustizia è la negazione di una negazione (il diritto). L’ingiustizia ha turbato l’ordine del mondo ed ha creato il caos: è evidente che il caos è il riflesso di quanto succede dentro Kolhaas, ma egli lo proietta fuori e chiede che il cosmos venga reintegrato. Altrimenti permane il caos, che diventerà certezza quando egli si renderà conto dell’impossibilità di ottenere giustizia. E per ottenere giustizia c’è una sola via: eliminare il torto attraverso il ristabilimento dell’ordine, annullando l’ingiustizia. Non esiste altra possibilità: non c’è il perdono, la comprensione o comunque la riparazione attraverso altre modalità come la punizione del colpevole o la ricompensa dei danni subiti. Questa dinamica è di estremo interesse. Se da una parte mostra la bassa soglia alla frustrazione, che rende l’ingiustizia fortemente lesiva per la personalità del soggetto che l’ha subita, dall’altra indica anche una grave rigidità: non c’è altra possibilità per riparare il torto, non soldi o restituzione di altri cavalli. Quello di cui Kolhaas ha bisogno è che l’ingiustizia venga abolita mediante un comportamento opposto a quello ritenuto offensivo.Se un vissuto di questo genere è legato ad episodi del lontano passato (infanzia) è evidente l’impossibilità di riparare l’offesa subita, e quindi, il persistere inestinguibile del bisogno di “giustizia”. Sempre per rimanere nel campo del letterario vorrei brevemente riferirvi quanto J. J. Rosseau dice a proposito di un episodio di ingiustizia patita. Egli viveva, orfano ormai di madre, all’età di circa otto anni, presso i fratelli Lambercier che avevano una specie di collegio. I rapporti con la signorina Lambercier erano caratterizzati da un affetto morboso che già evidenziava l’aspetto masochistico del Rousseau. Un giorno la domestica aveva messo ad asciugare i pettini della signorina Lambercier sul frontone del camino della stanza dove il giovane Rousseau stava studiando. Quando la proprietaria ritornò a riprenderli ne trovò uno con tutta la fila di denti spezzati. Dichi la colpa? Nessuno era entrato nella stanza: l’evidenza condannava Rousseau che, accusato, si difese disperatamente. Subì la pena, ma non accettò di confessare qualcosa che non aveva commesso. << Ero deciso... Alla fine uscii da quella prova crudele a pezzi, ma trionfante. Sono passati cinquant’anni da quella avventura... e dichiaro, in cospetto del cielo, che ero innocente, che non avevo spezzato né toccato il pettine. Immagini il lettore un carattere timido ed educato che non concepisce neppure l’ingiustizia e che, per la prima volta, ne subisce una così terribile e precisamente dalle persone che egli ama e rispetta di più: checapovolgimento di idee! Quale sovvertimento nel suo cuore e nel suo cervello, in tutto il suo piccolo essere intelligente e morale... Ebbe termine così la serenità della mia vita infantile>>. Fin qui Rousseau. È evidente che in questo caso troviamo la descrizione di un preciso episodio, mentre in genere nella clinica ci troviamo di fronte non solo ad episodi poco dettagliati e precisi, ma soprattutto ad una serie di ingiustizie, più che ad una singola.Il ricordo autobiografico di Rousseau, a differenza del racconto di von Kleist, sottolinea un aspetto importante: il trauma dell’ingiustizia è legato al fatto non solo che è inatteso, ma soprattutto che proviene da persone delle quali ci si fida ed alle quali si è fortemente ed emotivamente legati. Fatta questa precisazione, vorrei evitare una facile obiezione: che il vissuto dell’ingiustizia non è patognomonico del borderline, ma attraversa gran parte della psicopatologia e che anzi può essere il crinale che divide il mondo della persecuzione da quello della colpa. Sono d’accordo ed infatti non è importante evidenziare l’ingiustizia subita, ma esaminare quali sono le modalità difensive utilizzate dal soggetto borderline. Se facciamo riferimento a Rousseau possiamo dire che nella vita di questo autore (sia dai racconti dei conoscenti, che dalle sue Confessioni) si evidenziano alcune caratteristiche tipiche del borderline. Un dato molto evidente è la scissione tra la sfera razionale e quella affettiva: è noto a tutti che uno dei più noti pedagoghi, l’autore del famoso Emilio è lo stesso che abbandonerà in orfanotrofio i suoi cinque figli. Non meno palese è la sua suscettibilità ed ipersensibilità alla critica che lo porterà, negli ultimi anni della sua vita, a sviluppare un vero delirio persecutorio. Era dipendente e distruttivo nei rapporti interpersonali: basti ricordare con quale indifferenza trattò quando la ritrovò povera e sola, Madame de Warens, quella stessa persona che l’aveva accolto ed accudito e che egli usava chiamare “mamma”. Senza dubbio possiamo ritrovare in Rousseau altri caratteri tipici del borderline: rabbia intensa ed inappropriata, instabilità dell’umore, relativa conservazione del rapporto con la realtà (salvo negli ultimi anni). Possiamo definire Rousseau un borderline? c) la tendenza a far impazzire l’altro. La prima è una dinamica intrapsichica e serve a sopportare il trauma; la terza è una dinamica relazionale espressione della tendenza a vendicarsi del torto subito; la seconda rappresenta una sorta di cerniera tra le due. La scissione è una dinamica profondamente diversa dalla rimozione: l’affetto rabbia, non è rimosso, ma coperto e gestito. Non c’è trasformazione della rabbia in bramosia, ma l’affetto è cosciente anche senon può essere sempre agito continuamente, pena la perdita dell’oggetto: questo spiega come la rabbia può esplodere per situazioni contestuali oppure più frequentemente deve essere represso. a) La prima è evidenziare e criticare aspetti negativi dell’altro: cosa che al borderline riesce facilmente perchè intuisce, attraverso se stesso, dimensioni negative più o meno rimosse e di cui l’altro è poco consapevole. Evidenziare questi aspetti serve soprattutto a poter continuamente criticare: si mostra così un aspetto fondamentale del borderline quello di essere ipercritico in maniera impietosa. b) La seconda è la tendenza a negare l’identità dell’altro: cioè a non vedere, o a trasformare nel contrario, quelle che possono essere caratteristiche positive o comunque importanti dell’altro. Fin quando riesce a gestire la scissione, la maschera e l’attacco all’altro, il borderline si comporta come un “normotico”, ovverosia come un individuo complessivamente ben adattato alla vita sociale, anche se profondamente disturbato sul piano affettivo. Per normotico si deve intendere quella persona che, da chi la conosce superficialmente, viene definita persona normale ed a volte anche simpatica; di parere diverso sono invece le persone che intrattengono con lei, rapporti significativi ed emotivamente importanti. Solo quando non riesce più a gestire queste dinamiche, il borderline tende a chiedere aiuto: richiesta di aiuto che può avere i caratteri dell’urgenza e della drammaticità, perché egli intuisce il rischio di una rottura molto grave. A volte invece il borderline può esprimere una richiesta di aiuto attraverso razionalizzazioni (fare un lavoro per conoscersi meglio; salvare una relazione che sta frantumandosi ecc.). Ma il terapeuta attento intuisce che dietro questo domande più o meno neutrali c’è ben altro: attraverso l’incrinatura della maschera, deve decidere cosa è il borderline. Egli può evidenziare lo sguardo cinico dello psicopatico, quello onnipotente del maniacale, quello annichilito del depresso, quello anaffettivo dello schizoide, o quello sardonico del paranoico. Se questa intuizione rimane vaga ed indistinta lo psicoterapeuta si angoscia perchéteme di ritrovarsi improvvisamente una volta frantumati si completamente la maschera ed i meccanismi difensivi utili di fronte ad una struttura psicopatologica ben più grave. Per questo ritengo che la diagnosi di borderline sia fondamentalmente una diagnosi controtransferale: il terapeuta di fronte al rischio di una rottura psicopatologica preferisce mantenersi sul generico, sul vago. “È un paziente borderline!” Come dire: stiamo a vedere, potrebbe rivelarsi un nevrotico o anche uno psicotico grave. È evidente che questa diagnosi può essere utile nei primi incontri e dovrà ben presto trasformarsi in una più precisa. E, quanto più esatta sarà la diagnosi, tanto più efficace sarà la terapia. Perché la capacità diagnostica esprime la possibilità del terapeuta di andare oltre la maschera, per affrontare quel nucleo psicopatologico che la maschera tende anascondere.